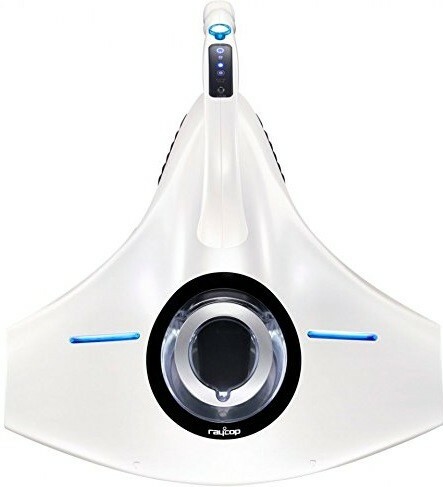 Raycop is the first UV anti-allergy vacuum cleaner that kills 99% of bacteria and eliminates almost 94% of dust mites. 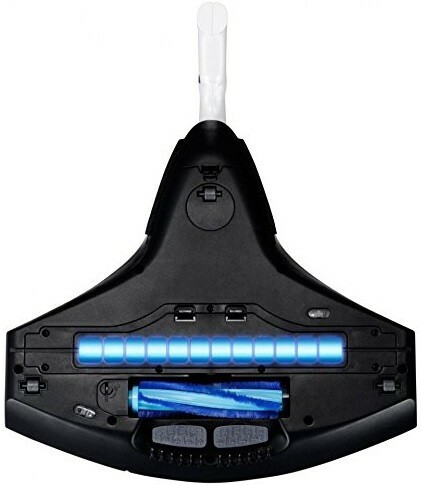 It is specially designed to clean beds, linens and other fabrics, helping to create a healthier home. Raycop cleans deep into household fabrics and can be used to clean mattresses, sofas, chairs, futons, crib pads, bedding, pillows and curtains. All of the products in the Raycop line use a patented three-step cleaning and filtration process. First they use a vibrating pad to shake dust mites and allergens free from fabric. Then a high-quality UV-C sterilization lamp helps eliminate bacteria. Finally a powerful motor vacuums up any dust and remnants, while a HEPA filter ensures that they cannot escape back into the room. Brush are provided together inside the package. Please make sure the power are off during any cleaning process. Dust Box and Dust Standard Filter - Can be easily take out to clean using the brush provided and it is washable by using clean water. Dust Standard Filter are able to clean using less amount of Detergent with the ratio of Water 9 :Detergent 1. After cleaned Dust Box and Dust Standard Filter, please let them to dry fully in the room temperature before operating the vacuum cleaner again. Non-Washable HEPA Filter - The HEPA Filter are NOT washable. The HEPA Filter could last estimate of 1 and a half year, assuming daily usage of 10 minutes. Kindly use the brush to clean whenever the underneath of vacuum cleaner are with dust, hairs and other objects.